Cool gardens and terraces, quirky shops and just a few of our favourite places that you might not have been to yet. 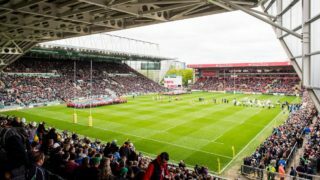 Leicester’s full of little hidden gems and this is just a small selection of our favourites for you to discover this summer. 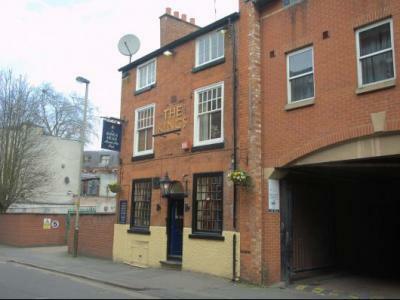 This pub on King Street (down near the bottom of New Walk) is one of our favourites. It’s a proper traditional pub, don’t be expecting a fancy bar, but what they do they do extremely well. A great range of ciders, beers and real ales from 10 handpulls, craft beers and lagers provide a great drinks selection but for me the best part about the pub is the roof terrace. Actually, I lie, the best part about the pub is that they let you take in your own food. That you can then go and eat on the roof terrace. You know all the times you want to go for a picnic in the sunshine but as soon as you get to the park you actually wish you had a table or toilets or a bar serving drinks… problem solved. 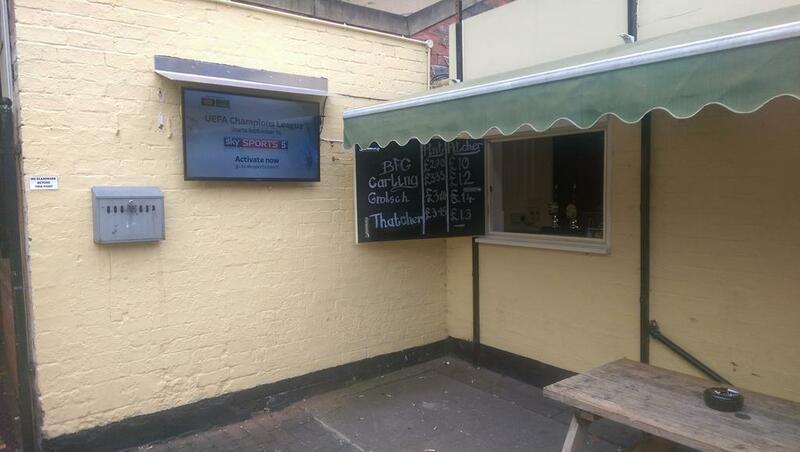 In the summer they have an outdoor bar on the terrace too AND outdoor TVs. The perfect place for after work drinks or a lazy Sunday afternoon. Beer fans can also follow their almost daily beer updates on the Kings Head website. This Lebanese place on Bowling Green Street is a must visit for lunch if you’re in town. We say lunch because they actually close at 7.30pm every night during the week and quite often they’ll be sold out even before then, that’s how good it is! The meat is prepared and marinated daily and there’s a great range of vegetarian options too. including halloumi and falafel sandwiches. Ok, maybe it’s not one of those place you’d look at and be instantly drawn to, but that’s where you’re missing out! They offer a range of sandwiches, salads and platters, as well as side dishes including grilled aubergine and chickpeas and all the good stuff. 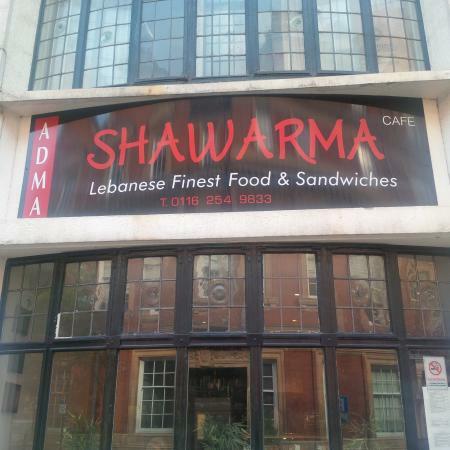 Prices are ridiculously reasonable and you can check out the menu on the Adma Shawarma website. Audrey Star’s Boutique is located in the Royal Arcade in the city centre and sells a range of 40s and 50s clothing, homewear, accessories and more. 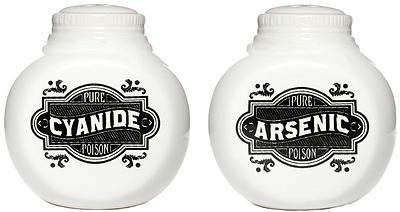 Everything from a flamingo patterned dress to cyanide and arsenic salt and pepper pots (above), this place has it all. Make sure you head into the shop to have a browse and you can also shop online on the Audrey Star’s Boutique website. James’ Cafe Bistro is tucked away on East Bond Street (behind the Highcross), doesn’t have a website and their social media is limited, which is madness because they should totally be shouting about how great they are. So I’m going to shout about it for them. Having eaten here on a number of occasions I’ve never been able to fault the food. The prices are cheap and the mascarpone cheesecake is hands down the best cheesecake in Leicester. I’m happy to compare if other restaurants want to challenge that title, but I’m pretty confident. They also do awesome events like the upcoming Northern Soul night on 9 May, when they’ll have their a la carte and 2 for £12 menus on whilst they spin a load of northern soul records for you to enjoy. 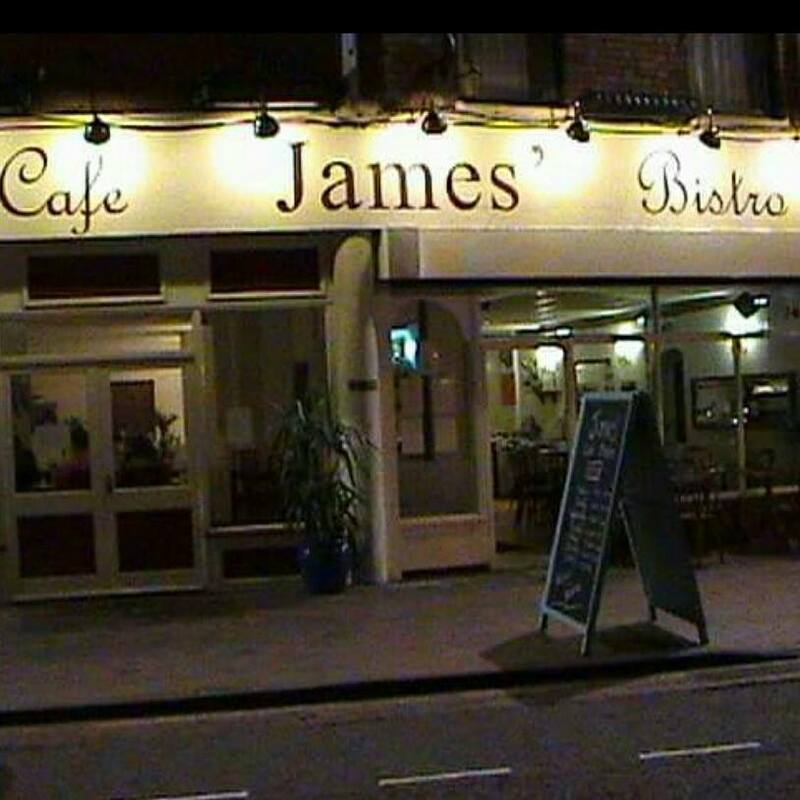 Check out the James’ Cafe Bistro Facebook to stay in the loop. Everyone loves a beer garden and even better a gig venue with an awesome beer garden. The Soundhouse on Southampton Street has had some great shows recently including JP Cooper, MC Lars, I Am Kloot’s John Bramwell and there’s more coming up with Pop Will Eat Itself on 22 May (sold out), Senser (19 June) and a Classic Indie Anthems Bank Holiday Party on Sunday 24 May. But you can’t enjoy the garden whilst you’re inside watching a gig, right? Well then it’s a good job that they’re in the process of doing up the garden and putting in a small stage for outside performances. Expect lots of outdoorsy goodness over the summer. 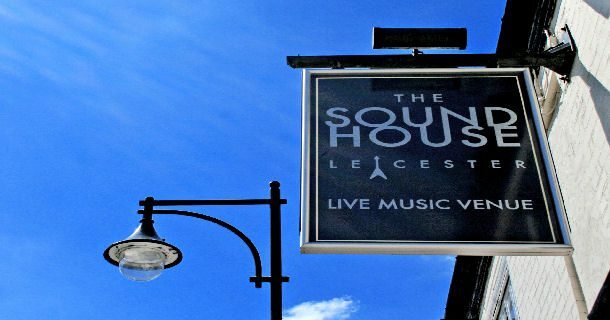 You can keep up to date with what’s happening on The Soundhouse website or Facebook. If you’re anything like us and love pretty things for your house and garden then you’ll love Outerspace. We liked it so much when we stumbled across it that we immediately went home and wrote about it on here. Not only do they sell awesome things but there’s a little coffee shop in there too. It’s on Francis Street in Stoneygate but hidden away a little. Check out our post here for all of the info. Narborough Road might not immediately spring to mind for the beautiful hidden gems of Leicester but they do have the best breakfast going so we’re putting it in. Just before the bridge on the Narb, in fact at number 210 (two ten… get it), this little cafe does a great breakfast selection and regular meals for throughout the day. Although to be honest we’ve only ever had breakfast no matter what time we’ve turned up because that’s how good it is. They also have a little garden out the back so in the summer you can have your bacon and eggs al fresco. Perfect. 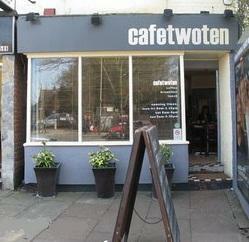 Full info on the Cafe Two Ten Facebook. Let’s get straight to the point… It’s 3 courses for £10. And it’s nice. Really nice. Choice of starters and choice of meats and always a proper good dessert. The Font’s a nice pub located down by De Montfort University and always has cool events on like Supercade, which is coming up on 9 May with cocktails, video games, retro arcade games and more. The sunday lunch deal is the perfect way to cure your hangover the following morning. Find out more on The Font website. We’ve included this one because we’re still surprised how few people seem to know about it. 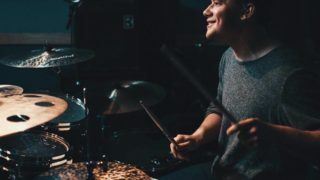 The Cookie is on High Street and whilst it started life as a coffee shop it’s now transformed itself into one of the city’s best live music and comedy venues. During the day they do a great food selection as well as coffee and cakes and if you go upstairs once you’ve ordered you’ll find a hidden away roof terrace right in the middle of town. It’s only small but it’s worth checking out. It’s a great escape when you’ve had a busy day shopping and nice place to enjoy your coffee in the sunshine. Make sure you check it out next time you’re nearby. For the daytime menu or info on what shows are coming up visit The Cookie website. It’s exactly what it says, a secret tea room. This is tucked away just off Clarendon Park Road on Lorne Road and serves homemade and locally sourced afternoon teas and other food. There’s a vintage feel to the place with the decor and crockery and is unlike anywhere else in town. When they first opened there were just 4 tables inside, but they’ve now expanded slightly to fit in a couple more. The scones are being made fresh for you whilst you’re there and there’s a lovely range of other food and cakes too. 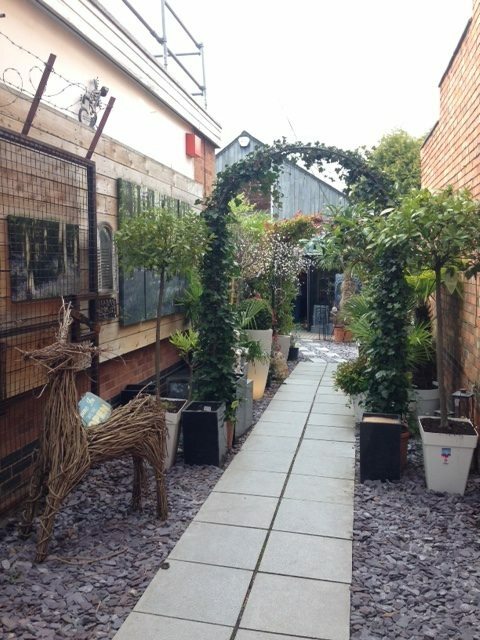 The whole place is available to hire for birthday parties or hen dos, which we can’t help but think would be adorable! 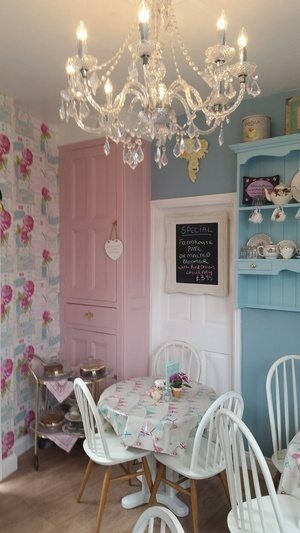 You can find out more info on The Secret Tea Room’s website. Now it’s your turn to tell us where your favourite places are. Tweet us @coolasleicester.